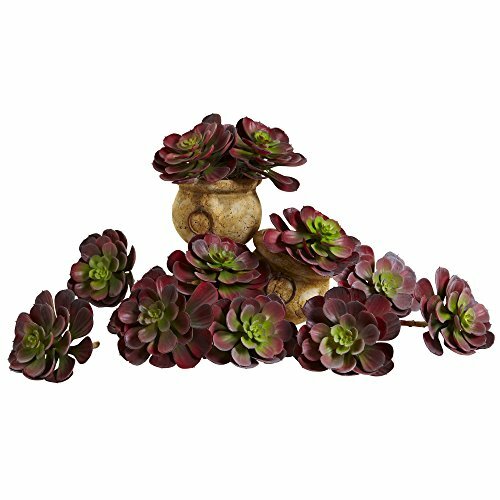 A unique style among Succulents, this Echeveria Succulent stands six inches tall and comes in a set of a dozen for maximum decorative potential. The leaves on this selection are layered, giving the fronds multiple levels, and really add to the look of this piece. Plus, they never need water, so place them anywhere you wish. Makes an interesting gift as well.